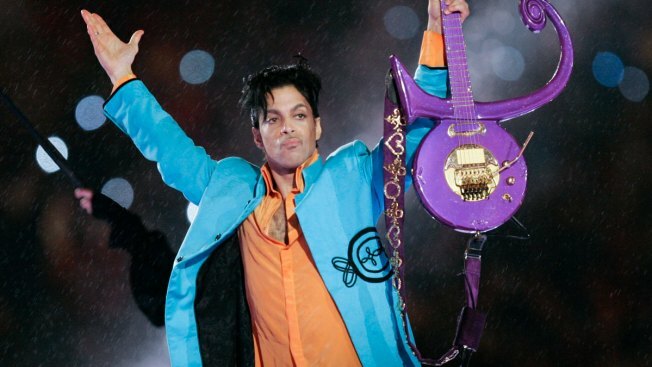 FILE - In this Feb. 4, 2007 file photo, Prince performs during halftime of the Super Bowl XLI football game in Miami. Warner Bros. Records has announced a new Prince album on what would have been the musician’s 60th birthday. The company said Thursday that “Piano & A Microphone 1983” from Prince’s storied vault will be released on Sept. 21 on CD, vinyl and digital formats. Among the songs are “17 Days,” Joni Mitchell’s “A Case of You,” ″Strange Relationship,” ″International Lover” and “Purple Rain,” the title song of Prince’s 1984 hit movie.